This is a handy all-purpose condiment for both sweet and savoury purposes. Serve it as an accompaniment with roast pork, spoon it over whole oat porridge or use it to supplement sugar and / or shortening in baked goods, as in this barley and oat granola. Combine all ingredients and 1 tablespoon of water in a heavy-bottomed, medium-sized saucepan. Cover and bring to the boil over a medium-high heat. Reduce heat to low and simmer for about 15 minutes, until the apples are tender and falling apart. Give them a stir every now and then and add a little more water to prevent sticking, if necessary. Remove from the apples from the heat and allow to cool for about 10 minutes. Transfer to a food processor and blend on medium-high speed until smooth. 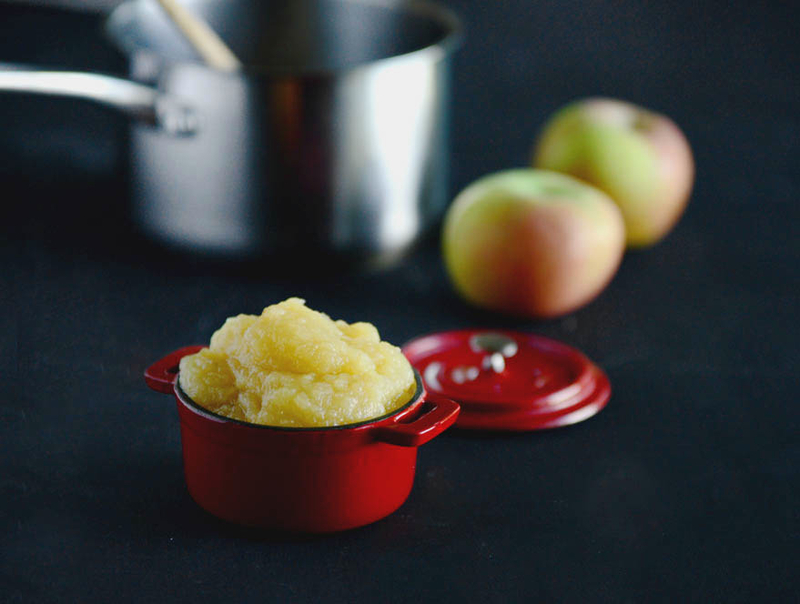 Transfer the apple sauce to a clean jar and store in the fridge for up to 1 week.